OK, I'll go by your recommendations. The instructions Koni included seems very generic. Just a pictures and a chart for a bunch of different nuts. That's where I got the torque specs. I've been away for awhile, are these still for sale? Still have some sleeves available. No more spring perches at the moment. Def, does the GC perches work with these by any chance?? Pretty sure GC stuff is not M55 x 2 mm, so no, I don't believe so. Man. I missed these. I am interested in the sleeves with perches. Please let me know if they become available again. I don't see a way to subscribe to this thread. I'm also interested in the perches. Hopefully more people chime in so Def can make another go! If I got people signed up (and paid) for 16-20 spring perches, I can get another batch made up. Can’t really do a machine run for 4-8 of them economically. After assembling everything, I ran into the same problem as the guy on page 2. I have no articulation between the camber plate and the spring perch. So I could use some suggests on how to fix that. 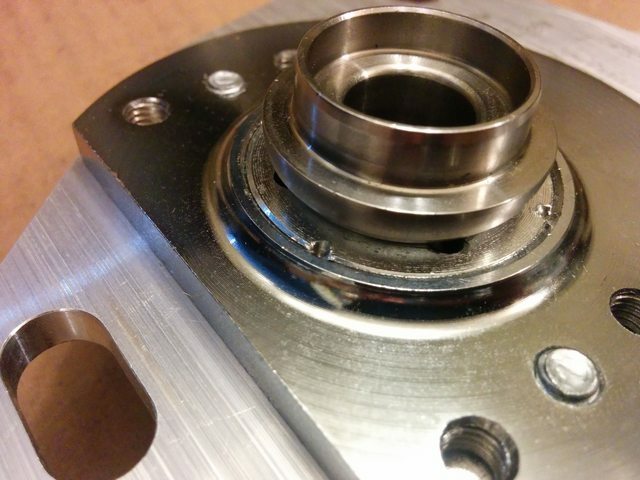 I'm using Mookeh camber plates and the bearing housing is tapered on top, but not the bottom. 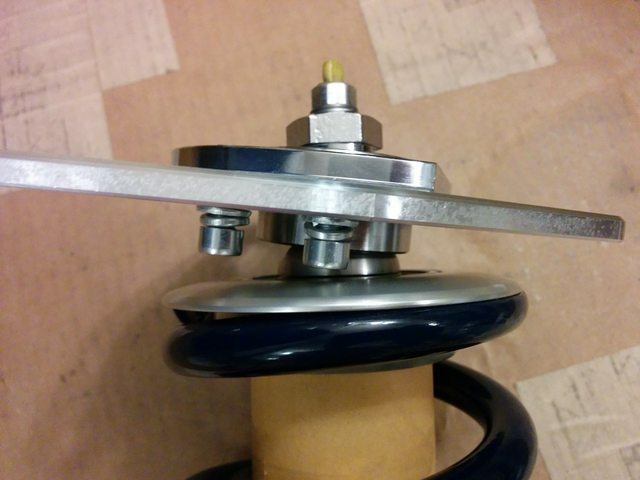 The bushing is basically resting on the locking ring for the bearing. When I flip the camber plate upside down, there's enough space for articulation. My spring perch bushings were machined down to 18mm OD to slip into the Mookeh spherical bearing. 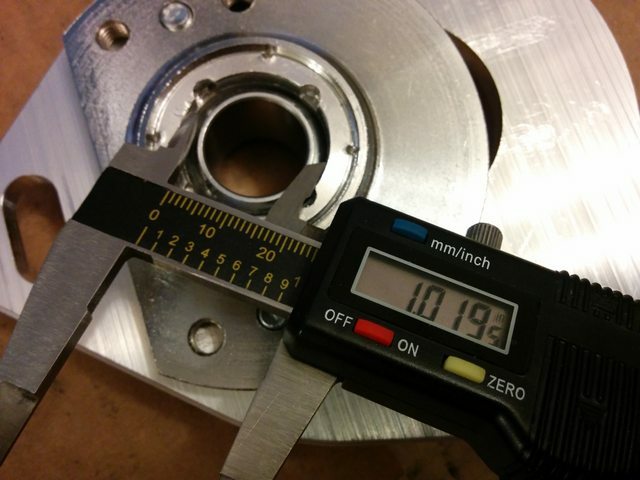 I need 3-6mm of clearance between the bushing and the bearing. McMaster has bronze sleeve bearings that are 18mm ID with an 22 or 24mm OD that I could use to slip over the bushing. From what I have read, bronze is too weak and will eventually deform and break off. I was thinking about getting steel shims 98089A398 from McMaster to space it out. They are 18mm ID, 25mm OD and 1mm thick. Even though I will need to grind down the OD to 22mm or 23mm, I was leaning in this direction. A pack of those shims will let me experiment with the spacing. But, I'm open to other suggestions. Also, how important is articulation in the rear? My KTS (like Tein and others) don't have a spring perch on the rear. 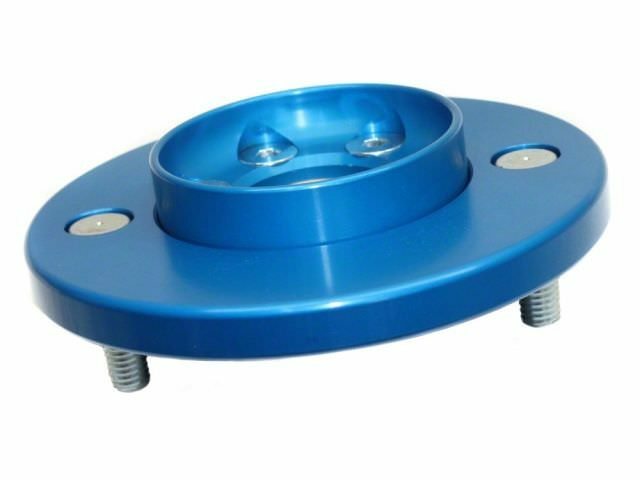 The spring sits directly on the pillow ball mount. I'm adding a spring perch to the rear but the spherical bearing is really deep in the mount. It's going to limit the amount of articulation even when I space it out. And I wanted to double check that the 2-3mm gap between the gland nut and sleeve is completely normal. This is only hand tightened with a wrench and not torqued down yet. The paint on the Koni inserts are so easy to chip. This is only hand tight and it's already flaking off. It worries me that more paint will come off when I do torque it down. Or find a round shim that'd work for you (washers will be too large in OD I'd think). 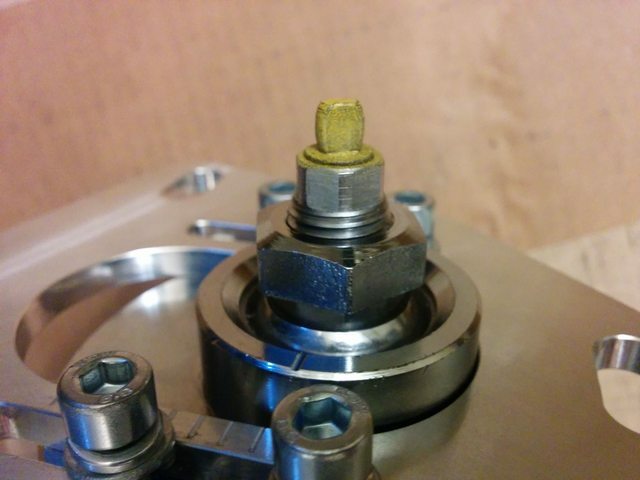 The gap between gland nut and housing body is supposed to be there. All threads are already engaged so there's no additional strength left with screwing it in more, and if it bottoms out before it tightens the insert down it'll be banging around which is "very bad." It took a lot of designing/measuring to make sure it didn't bottom out with Koni's "very loose" tolerances on their strut body lengths. Koni just puts some cheap spray paint on the struts, it's not the most durable stuff so unfortunately that's typical with the paint flaking. 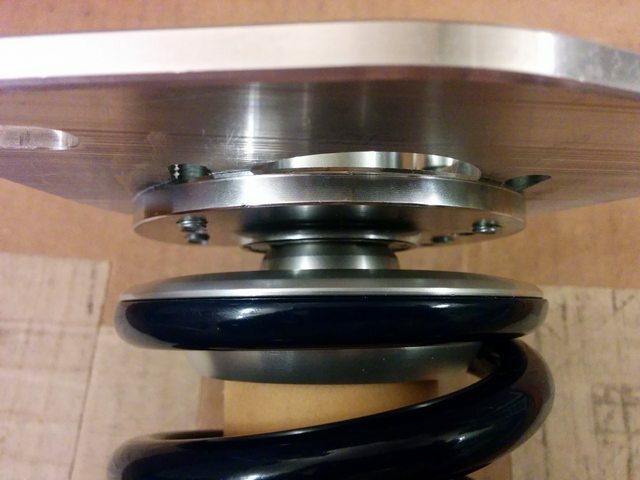 You can put a small chamfer on the stainless round shim down there if you want it to put load into the bottom of the strut over a larger area. 8611's have a flat ring that they sit on, so they sit against a flat surface better, but 8610's have this rounded bottom for some reason. I don't think that tubing is going to work with my camber plates. 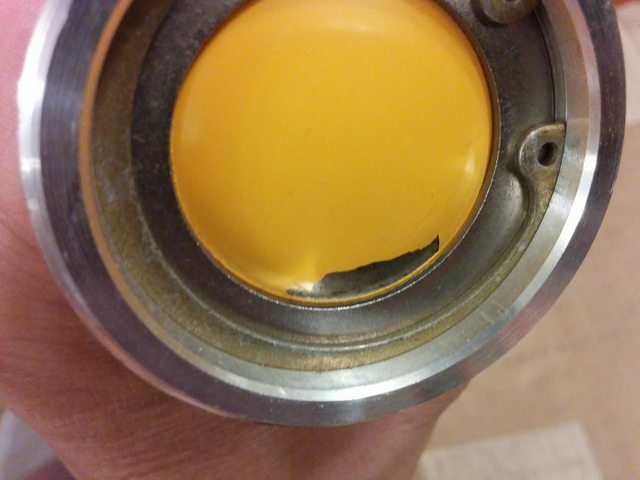 The inner diameter of the locking ring is 1". I'm going to try some shims to space it out. Thinking back, I should have followed Turtle's example and completely cut off the part of the bushing that slides into the bearing. Then a machinist could make a centering spacer or I could have simply bought one of the spacers that Cusco has. Since KTS rear pillowball mounts looks like this. There doesn't seem to be any way to space out the spring perch and have any thread left for the nut on top. It's either going to be different pillowball mounts or I'm going to ditch the spring perch and mount the springs right on it. The chipped paint is a slight inconvenience. Just concern about rust. I'm going to take it apart and spray some black chassis paint over it. It won't be pretty but nobody is going to see it. You've got all the pieces in front of you, you just need to come up with a jigsaw puzzle that all works together for the parts you plan on using. I have to mention what a terrible system of measurement Standard is. Even with my conversion charts and constantly converting numbers in Google, I still couldn't find the tubing you posted. It doesn't help that Standard is listed in both fraction and decimal. 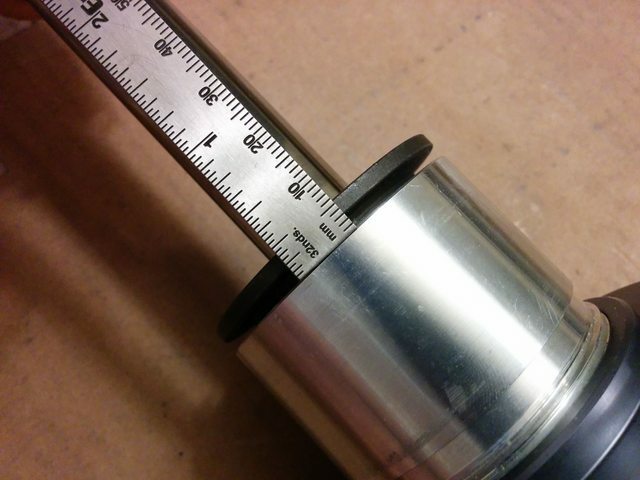 You can look at all the sizing for a given type of part (I.e stainless 304 tube). stainless pipe is cheaper than tube, and it looks like 1/2” nominal pipe is a good OD at about 0.035” less than 7/8” OD tubing. Sch 5 would be larger than 0.7” ID, but won’t have a ton of area to bear on. sch 10 would drop the ID a hair again, sch 40 is the next step up.